So you decided to try out a retinoid. Congratulations on trying what dermatologists universally agree to be “the most useful anti-aging ingredient around.” It also helps with acne, so good job on finding a beauty product with actual multiuses! But a little-known side effect of retinoid is something colloquially known on internet message boards and the beauty world as the “retinoid uglies.” Known as a skin care “coming of age” phase, it’s an adjustment period (the timing is different for everyone) when your skin “purges,” often resulting in excessively red skin and peeling. Much like puberty, the “retinoid uglies” feels different for everyone. It can get so bad that there are even Reddit support groups. The Cut talked to seven people who went through the “uglies” about their experiences — and their advice for getting through it. How gnarly was it? I’ve been a regular user of Retin-A since 2015. I’m afraid this is my whole personality now. I’m like the dad from My Big Fat Greek Wedding who spritzes Windex on everything, except only with my gnarled tube of Retin-A. My retinoid uglies were such a defining experience that I wrote a whole essay about it. If you use a very strong retinoid on severe cystic acne, the pus-filled zits start dying and they leave behind these little hollowed-out corpses, scattered husks of pimples, dead skin, and dry flakes. Once the zits had gone, my face went from resembling a sea creature shedding its carapace to one generating its own bioluminescence. 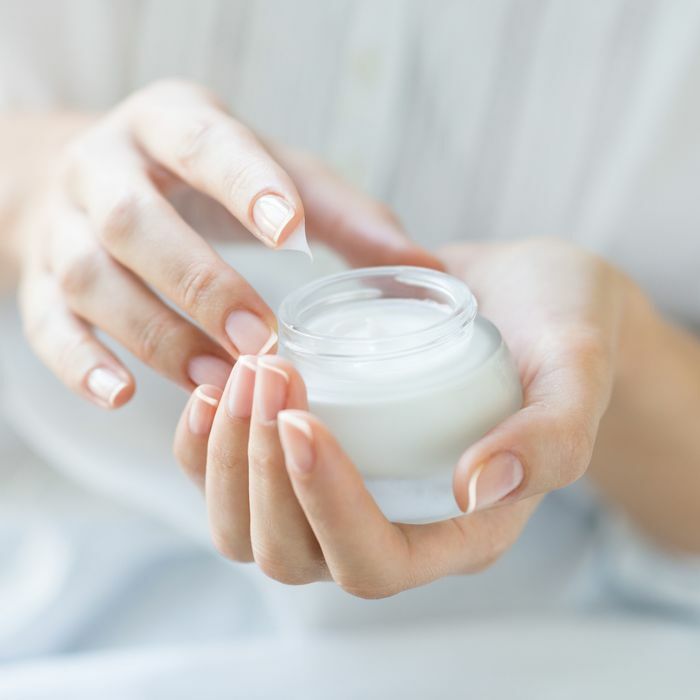 Her advice: A good moisturizer and sunscreen are your allies, and something as basic as Vanicream or Cerave will help ease the tightness and the peeling. If you encounter someone whose eyes keep flickering towards the breadcrumbs disintegrating from the retinoid-ravaged patches on your face, simply stare them down. Make aggressive eye contact, and remember to enjoy the feeling of moral superiority when you emerge, months later, from this Biblical purge, as smooth and poreless as the famous Instagram egg. How gnarly was it? I’ve been using retinol on and off since high school. My first experience was Neutrogena Healthy Skin Anti-Wrinkle Cream, which gave me great bang for the buck and no uglies. I upgraded to Avibon (a.k.a. A313) after visiting France. It made my skin itch and left me with red flaky patches at first, but it was gone after a week. My ugliest retinol uglies were from prescription 0.05 percent tretinoin by Actavis. It was terrible … but then glorious. For two weeks, my skin was red, dry, and weirdly furry. I felt like I was my eighth grade self back on Accutane. To combat the dryness, I switched from using it every day to twice a week. But afterward, I had this newborn-baby skin that I couldn’t stop stroking. My pores were smaller and the blackheads on my nose had disappeared. Her advice: Drop application down to two to three times a week. Drink lots of water. Apply a gentle natural moisturizer multiple times a day. And stick with it. The best is yet to come, unless you’re having an allergic reaction. Then you should stop. How gnarly was it? I was one of those poor unlucky preteens who begun battling with acne at 12. A dermatologist finally put me on my first heavy course of Accutane at 19. In between, I’ve used tretinoin, adapalene and Differin for spot treatments and as a preventative thin layer all over the face. Retinoid gives me the kind of smooth skin I thought was only a myth. But a single night of using it can inflame my entire face with tiny bumps that feel like burns. My skin sheds in actual, tangible layers that I can peel off myself. My face throbs for hours after I put something on. Ultimately, I’m not strong enough to handle tretinoin with active acne. The only thing that helped was slathering copious amounts of Laneige Water Sleeping Mask every night. Her advice: Take pictures! Don’t look at them but take them. I wish I had. They’re wonderful to look at years later when you’re losing your mind over a single zit. They can serve as a reminder of how far you’ve come! Moisturize, do spot treatments, use Vaseline, don’t touch your face. Binge watch a lot of TV because by the time you’re done with the new season of Schitt’s Creek, the purging will be over. How gnarly was it? Not terrible! I use a Retin-A cream (tretinoin) prescribed by my dermatologist. I had a boss with great skin who once told me it was the best thing I could do to prevent wrinkles, so even when I was still getting zits, I was like, “Hey, at least this’ll benefit me out in ten years.” Now I’m in my mid-30s and my skin is pretty smooth and clear, with small pores and no scars. Her advice: I got really religious about sunscreen when I started using Retin-A because I read about how it thins your skin and I envisioned my face looking like a potato chip. How gnarly was it? My derm put me on Retin-A Micro for acne back in my early 30s. I used it for about ten years. My retinol uglies came in the form of lots of flaking and redness, but it sure helped clear up those breakouts! I can’t remember how long the “uglies” lasted, but my dermatologist had me take the usage down to every few days. She ultimately switched me over to a creamier, more moisturizing version: Retin-A Cream .01 percent. Her advice: Start slow and see how your skin handles it. Try it every few nights, work your way up to every other night, and so on. (Don’t use it during the day, as it makes skin super-sensitive to sun exposure! And even if you only use it at night, you still need to up the SPF during the day!) Also, don’t slather it on heavily. More isn’t necessarily wiser. How gnarly was it? I started using using the prescription retinoid Atralin at 0.05 percent when I was 12 for acne. I remember it making my skin a little dry and slightly flaky, but it only lasted a few week. Plus, my skin was clear, so that is all I cared about. My dermatologist then upped my dosage to a generic form of tretinoin at 0.1 percent when my skin broke out freshman year of college. The high concentration and my overuse led to chemical burns on my chin after a week. My skin healed after about a week of proper use, icing of the area, and a simple moisturizer. This past year, I discontinued my use of prescription retinoids all together and switched to The Ordinary’s Granactive Retinoid 2% Emulsion, and I haven’t had any irritation. To be safe, I initially put it over my moisturizer when I first switched. I’ve been using it for two months and only seen positive results. Her advice: Keep your skin care simple if using it, listen to your dermatologist, and try the trick of using it over your moisturizer when you first start. How gnarly was it? I’ve been using prescription tretinoin 0.025 percent, the generic one, for about three years. Since I have really dense, oily skin, I didn’t experience the terrible peeling that came along with prolonged use. I had some mild peeling around my nose and cheeks but that ended after the first month. You had to look really closely at my face in order to see it at its worst. It helps control my oil production, which was especially bad in warm weather. I need Retin-A psycho, not micro. Following the light redness and peeling, my skin was much smoother and I saw my acne scars fade. I stopped getting blackheads and whiteheads across my forehead and nose. I didn’t see much in fine line reduction but I also never really had them. Her advice: Moisturize! There’s really nothing you can do besides use a thicker, heavier cream than normal.